At a hearing in Hobart today, the prosecution told the court that key murder witness in the Sue Neill-Fraser case, Meaghan Vass, had said ‘No comment’ to everything put to her by police when she was picked up for questioning on Thursday March 7. In other words, Vass did not recant. This prosecution statement of facts appears to contradict the earlier statement issued by police after the 60 Minutes interview in which Vass admitted to being on board Four Winds and witnessing the murder of Bob Chappell on Australia Day 2009. We reported it on March 12 here: Assistant Commissioner Richard Cowling said police re-interviewed Ms Vass last week when the program’s promotional material suggested a new version of events. 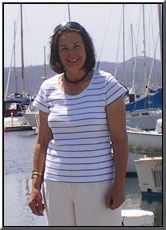 The prosecution’s statement also corrects the false impression created by the story in The Australian published on Monday, April 14, 2019 by Matthew Denholm, headlined Yacht murder witness changes her tune again – that Vass had recanted her admission to police in the previous few days. Vass was in court today facing two charges of possession (marijuana), a result of police searching her bag when she was picked up. A conviction was recorded. She now goes back into rehab on the mainland.